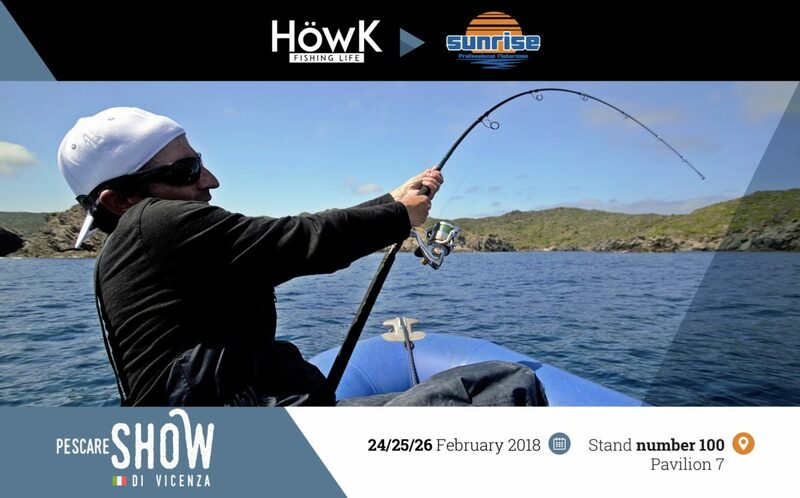 Höwk Fishing will present all its products at the prestigious fishing fair of Vicenza with the help of Sunrise, which will be the brand’s exclusive new distributor in Italy. We are waiting for you all in Stand 100 of Hall 7. Pescare Show is an expo dedicated to the world of traditional fishing, fly fishing and spinning in fresh water and the sea. The event can boast exhibitors from the biggest brands in the sector and a vast display of equipment and items for sports fishing. A visit to this show in the italian city of Vicenza is a must for enthusiasts, thanks also to the special additional events and activities dedicated to fishing: cultural areas especially for traditional equipment, meetings in conjunction with the most important fishing clubs and even practical demos in large 15 m casting pools for spinning and fly fishing. And not just exhibitions, there are also areas dedicated to making artificial flies, where the best in Italy will be holding courses for visitors of all ages. You all are invited to visit us and our partner, and you will notice the quality of our materials and the phylosophy of our brand.